Amal Damaj’s dedication to community is rooted in her Islamic faith and an innate belief in the potential of people to do, and to be, good. She leads by example through kindness, respect, service and education. Originally from Lebanon, Damaj has lived and studied in Switzerland, Canada and France and received her master’s degree from the University of Arizona. 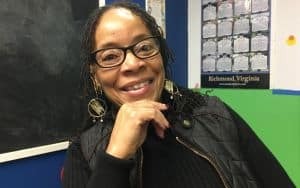 She moved to Chesterfield with her husband, a VCU professor, in 1991, where they raised two boys, now 20 and 24 years old. She works as a translator in English, Arabic and French. She encourages people to get to know those whom they may not understand. “I always have in mind that God is watching.” She expresses a desire to live up to her faith, which teaches a commitment to justice, fairness, giving others the benefit of the doubt and making amends for one’s wrongs. Amal Damaj dedicates her free time to volunteering in the community. 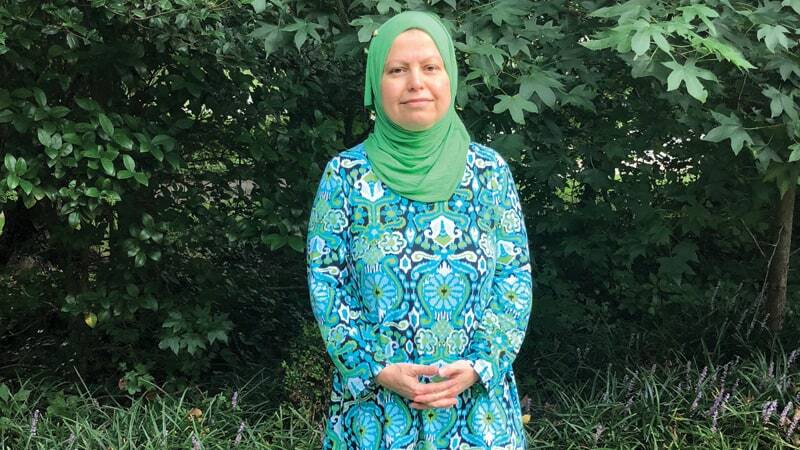 A member of the Islamic Center of Virginia in Bon Air, she has participated in projects and partnerships with organizations such as CARITAS, Habitat for Humanity, FeedMore and many others. 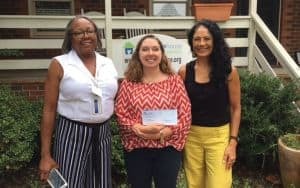 She spent 10 years as an active volunteer for the MICAH Initiative, a partnership of faith communities that mentors, tutors and volunteers within Richmond Public Elementary Schools. In 2017, Damaj joined the new RVA chapter of the Sisterhood of Salaam Shalom. This organization promotes friendship and understanding among Muslims and Jews through meetings, activities and community-oriented projects. 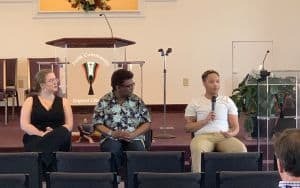 She has also been a part of the Bon Air Interfaith Trialogue bringing together members of the three Abrahamic faiths (Christian, Muslim and Jewish) for interfaith discussions at churches, synagogues and mosques. Damaj asserts that change is the one constant in this world. “We cannot stop change, but we can try to make it better.” After 9/11 she was deeply distraught, as were all Americans, by the horrors of that day. American Muslims were thrust into the limelight, feeling fear and mistrust from many. Inspired by her husband who told her, “This is not a time to complain – we have work to do,” Damaj went to work. As a woman who covers her head, she, and women like her, are the most visible and are at times treated with disrespect. When asked if she gets angry, she says she’s not perfect and has lost her temper dealing with difficult people, as most would. Today Damaj focuses her energy on education – not through lecturing, but through friendship and action. She wants to be “visible, unconditionally kind and respectful. We [the Muslim community] must show who we really are. I try to be friends with everyone.” In conversation, Damaj often quotes scripture or proverbs of her friends’ different faiths honoring the beliefs and traditions of all people. She describes herself as “just a wife and mom” and while those may be her most prominent roles, she embodies what a “regular” person can do when they show up with heart and a commitment to their values.